I love France and the French. No, really. I trust their sartorial intuition and am intoxicated by their fields of lavender and sunflowers, their ancient hill towns, alpine mountains, rugged coast and wind swept countryside. The French people, particularly Parisians, are like an aging actress – seductive, entitled, proud, elegant, stubborn, self absorbed, mercurial and somewhat unpredictable. I have come to accept their political contrarianism as a sort of symbiotic fact of life. I also love to lampoon the French at every possible turn. The French insist on positioning themselves as a rational and more egalitarian alternative to American hegemony and its “McDonaldization de le Monde”. Every protagonist needs an arch enemy. Sherlock Holmes had Dr. Moriarty. Superman had Lex Luther and Republicans have Obama The French need America. Their cocksure arrogance and serial devil’s advocacy to anything American just begs for me to assault their penchant for wine, cheese, infidelity and the bloodless surrender. The French have infiltrated American culture and our lexicon. The French gave us the term, coup d’état, which involves taking over a government by force or deception while the leader is vacationing in Cannes. 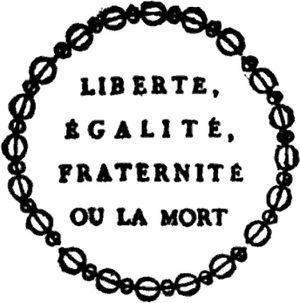 They gave us, “Je ne sais quoi” which means “ I have no freaking idea what that reminds me of so I am going to draw on my fourteen years in le Grand Ecole to say something sophisticated that means nothing.“ What about “Laissez-faire”? a form of government which is tantamount to a parent running a meth lab. “Marie, where are les enfants?” “I believe the children are with your mistress, no?“ And, le piece de la resistance? “Raison d’être” translating to “reason to exist” which for the French, is to be par excellence – – preeminently supreme above all others. I developed my tendency to take the starch out of the French while living in Europe. Working with our French operations was a sociological adventure. We had a worker’s council threaten to strike over whether we would install a sales management system. The labor union leadership did not like the idea of someone monitoring employee performance and potentially paying for those results. Imagine that! We had 35 hour work weeks with employees swapping building access cards in order to work longer than 35 hours – – trying not to get caught by those who were trying to enforce the 35 hour rule designed to drive full employment. We had executives that were cheaper to move aside than to pay a mandatory three year severance. They became frozen fixtures, too proud to leave and too angry to do anything other than criticize management. My French colleagues referred to the seventh floor which housed these malcontents as “le mausoleum”. The Parisian staff were by far, the most educated, unprofitable, dynamic, dysfunctional, sarcastic and elegant team we employed. Teams were merely a shell for individual contributors who competed with one another for success. This competition of individuals, many of whom were educated in the best schools, was unproductive and highly entertaining. Personally, I loved it. Professionally, it drove me crazy. Like Richard Burton and Liz Taylor, we simply cannot live with or without the French. Our contempt for one another should be overshadowed by the fact that we are both great societies and that we need one another. It is true that democratic socialism is not compatible with neo conservative capitalism. Yet, the USA is learning that we desperately need global partners and that we can do more to support the least among us in our society. The French, on the other hand, are learning hard lessons about the impact of economic immigration, the burden of massive social programs and inefficient labor law. We are in essence, stumbling toward one another in a blinding storm – – the aging actress and the powerful adolescent. We may end up together but we will always be odd bedfellows.